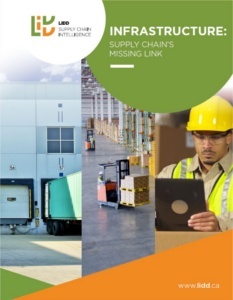 The operating data we analyzed bolstered the warehouse manager’s case: the dry department was overloaded with SKUs and the pick line woefully inadequate to face them all. To keep their operation running, they decided to take the only free space they had on the pick line – in the cooler. The bottom 50% of SKUs in almost any distribution center generates less than 5% of a company’s profits. Supply chain executives are in the business of providing operations that serve a business’ goals within the affordable infrastructure footprint. At retail and wholesale, many supply chain practitioners are numb to buyers and merchandisers adding product lines on a weekly basis – dropping lines at a much slower pace. And for many operations, slow-moving, low-profit SKUs are critically important to the business. It is an offering that distinguishes one distributor from another; it is that extra effort to serve important customers. Still, there is such thing as too many SKUs. And when a distribution center ends up with ketchup in the cooler, it is time to stop and ask, “are the distribution costs of carrying these low-margin SKUS worth the benefit?” This was the question we asked at that foodservice operation. Would the company invest capital in expanding the dry department in order to face all these items or were there sufficient number of un-profitable SKUs to eliminate, thereby deferring the need for expansion? The answer was yes. In analyzing the items that contributed least to the operation’s profitability, we identified many that could be deemed “non-essential” slow-movers. In some cases, the DC stocked half a dozen varieties of the same salad dressing; the slowest of which were purchased by a handful of street accounts. When the exercise in SKU rationalization was finished, the DC had two opportunities. One, it reduced the amount of capital it needed to invest in distribution infrastructure. Two, it boosted picker productivity with shorter pick lines and higher pick densities. There are exceptional times when a DC has no choice but to put ketchup in the cooler. More often, a company has saddled itself with a SKU too many, tying up capital and slowing down operations. Related reading on Harvard Business Review.